We arrived to Colombo International Airport and drove straight to Sigiriya. There are enough places there to stay between Dambulla and Sigiriya. As I mention in previous post it took much longer then I expected and we arrived to Sigiriya are very late. It was already dark and best what we could do just go to bed. 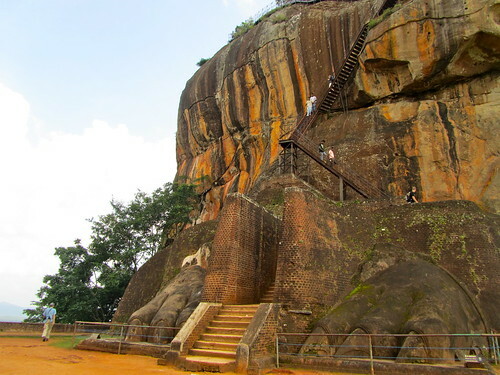 The first task was visit Sigiriya (Lion’s rock) – a large stone and ancient rock fortress or ruins of the fortress dated back to 5th century. It is better to go in the morning as you will need to do some stair climbing to get to the top of the rock and it won’t be so hot. Or you can do it later afternoon as it will be better light for taking photographs of the rock. At the left side of the rock the narrow pathway emerges on the large platform from which the rock derives its later name, the Lion Rock. 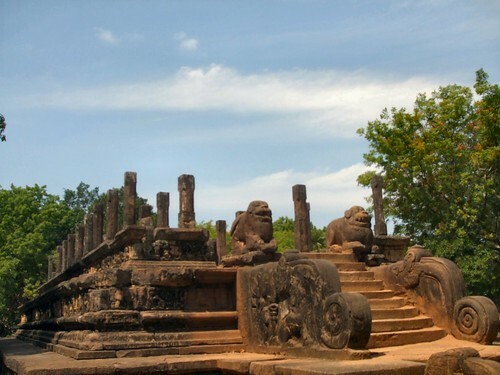 There was a sculpted lion’s head above the legs and paws flanking the entrance, but the head broke down many years ago. 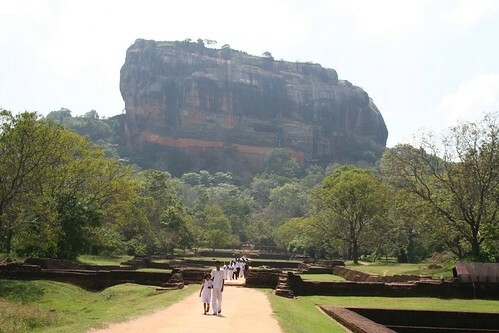 It is probably half way of the ascent to the summit of Sigiriya Rock. Most people take a rest here before heading further up. Give about 2 hours to see everything in slow pace, but it can take more time for somebody less physical fit. Sigiriya site is open 7:00 – 19:00 (7am – 7pm). Cost 30$US. 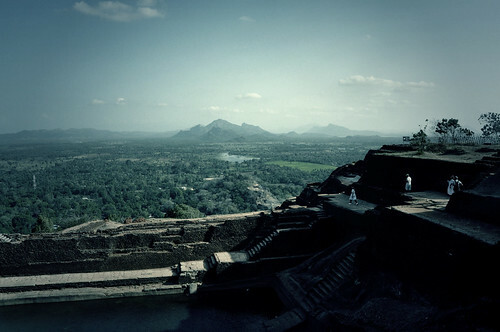 East from Sigiriya there is Polonnaruwa – 1000 years old ruins of the second most ancient of Sri Lanka’s kingdoms. On the map it looks not so far, but with Sri Lankan traffic it takes some time to get there. It is quite big site, split to couple locations, also there is museum, so give about 3 hours. It was enough for one day and we went back to Dambulla for the night. If you are lucky you can see elephants on the way to Polonnaruwa. 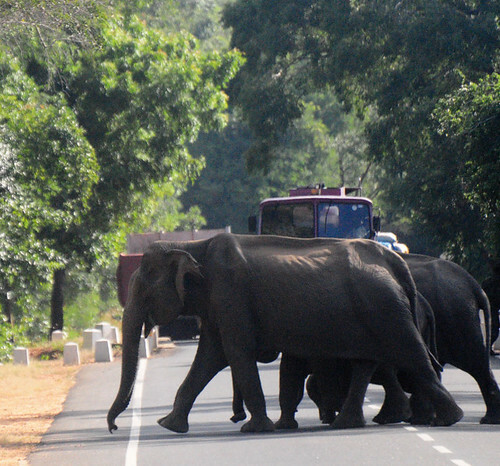 The road between Sigiriya and Polonnaruwa is boundary of Minneriya-Giritale National Park and it is not rear to see elephants crossing that road. We saw only one elephant on the way to Polonnaruwa, but on the way back to Dambulla about 10 elephants were crossing the road. It was fantastic. Subscribe for the latest posts to read what did I see next day. What a lovely trip, it looks pretty exhausting though. Yes, it was a little bit fast pace trip, but it also was very exited and I didn’t feel tired. I didn’t know that Srilanka is also very beautiful place to travel.Thanks for sharing the photos.